Sibling rivalry among children is a constant topic in parenting blogs, articles, and books, and is more of a rule than an exception. Sibling rivalry isn't always outgrown in childhood, however; in some cases, it only intensifies as the decades pass. Does, "Mom always did like you best!" sound familiar? 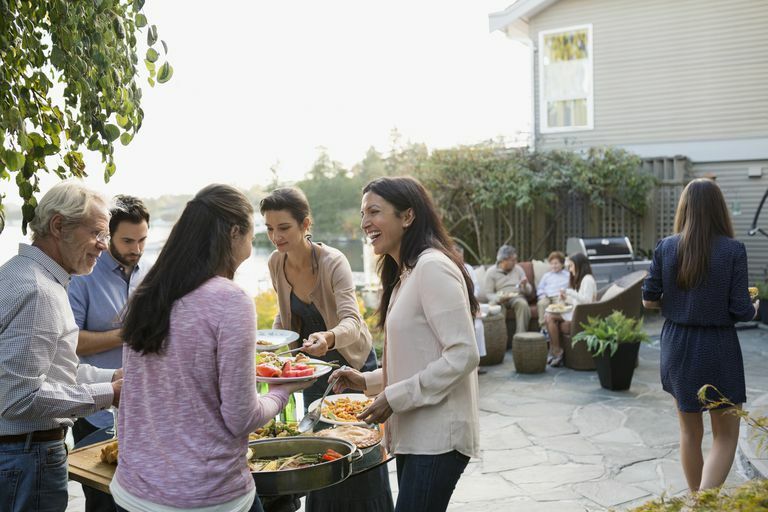 If you feel strained in your relationship with your family because your parents favor another sibling or another sibling’s family, you may be surprised to find that you’re not alone. While most parents love their adult children, it’s surprisingly common for a parent to be closer to, or more supportive of, particular adult offspring over others, sparking sibling rivalry. According to one study by researchers from Cornell University, which included interviews with 275 mothers in their 60s and 70s with at least two living adult children, and surveys of 671 offspring of the women, 70% of mothers could specify a child to whom they felt closest. Interestingly, only 15% of interviewed offspring felt that there was equal treatment by their mothers. Other research shows that parental favoritism negatively affects the mental health of all of the children in the family, either by creating resentment in the less-favored children, stress from high parental expectations for the favored child, strained sibling relationships, and other negative consequences. So if you feel that you're less favored by your parents and that pain is affecting you in adulthood, you're not alone. It’s also common for people to feel that a sibling is or ‘has always been’ favored by a parent, even if this may not be recognized or acknowledged by the rest of the family. While it hurts to be the less favored ‘child’, it’s human nature for some people to be drawn together for various reasons, such as geographical proximity (your sister who lives closer to mom may understandably spend more time with her), shared personality features (your dad and brother think the same way, and thus understand each other more easily), or other factors within or beyond your control (perhaps your world view doesn't match your parents' as closely as that of one of your siblings, and they resent it, consciously or unconsciously). Research shows that parents are more ambivalent toward children who are not married, less educated, and share fewer of their values. Unfortunately, while this can be human nature, it stings more when coming from a parent, as we think of our parents as people who are supposed to love and support us unconditionally, and we may still see them as a little greater than human (a viewpoint left over from childhood). Whatever the reason, if you find that one or more parents is favoring another sibling over you, either by having a closer relationship with your sister’s kids, bragging more about your brother’s accomplishments, paying more attention to your sister, or always taking your brother’s side in a disagreement, it can make for a stressful family gathering with raw feelings that can be easily hurt. Are you sick of the stress? Here are some ways to cope with sibling rivalry as an adult. Find supportive people in your life to provide the love, acceptance, and approval you may not get from your parents as much as you’d like. While we may not be born into families of people who think like us and share our values, there are many people in the world that can provide the support that our family members may be unable to give. Find them, and invest your energy there. Don’t compete with your siblings, and don’t blame them for being favored. Even if they’re going out of their way to remain the favorite, you can’t blame them for wanting their parent’s love and approval. Just accept that your relationship with your parents is yours, and try to keep it separate from sibling relationships. You’ll also feel better if you accept that you may not get as much support and approval from parents as you want, and that’s okay. If you don’t come at them from a place of need, you will actually have more personal power. It may be difficult to get into this frame of thought, but you’ll feel better after you do. Start by noticing all that you do get from them, and valuing that. Also, you can notice everything that you get from other areas of your life, and realize that your family of origin is only one part of your life, and it doesn't have to be the most important part. Finally, if you have a committed relationship or family of your own, you can focus on providing that which you’d like to be getting from your family of origin. Focus on what you share with them, and on what you can provide to yourself in your own life, and you’ll be better able to accept familial quirks. Given that there can be lasting negative effects of parental favoritism and sibling rivalry that last into adulthood if you feel significant stress from this situation and you feel you need extra support in managing this stress, don't be afraid to reach out to a professional. There are many qualified therapists who deal with family-of-origin issues like these, and they can help quite a bit with the stress. You can also adopt general stress management habits to lessen the overall stress load and make it easier to cope. Pillemer et. al. Ambivalence toward adult children: Differences between fathers and mothers. Journal of Marriage and Family, Vol 74(5), Oct, 2012. pp. 1101-1113. Is Your Husband a Mama's Boy?